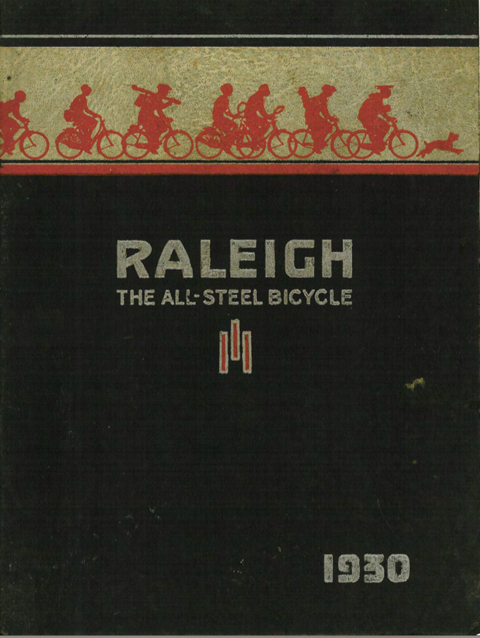 Since its introduction in the last few years of the 19th century, the X Frame became the best-known Raleigh. Until World War One, it was the company’s top-of-the-range model, and one of the world’s most expensive bicycles. After the War, bicycle prices were reduced to meet new demand from commuters, but the X Frame was retained throughout the 1920s. 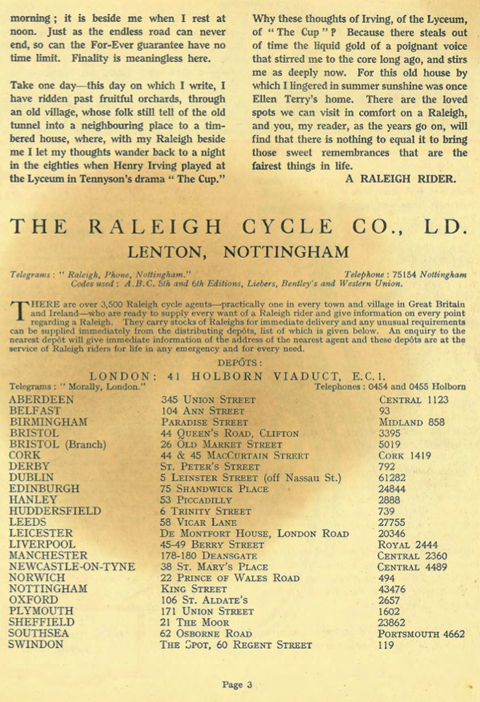 However, the beginning of the 1930s presented the cycle manufacturers with a different economic climate, and the expensive X Frame was no longer the Raleigh’s prime seller. 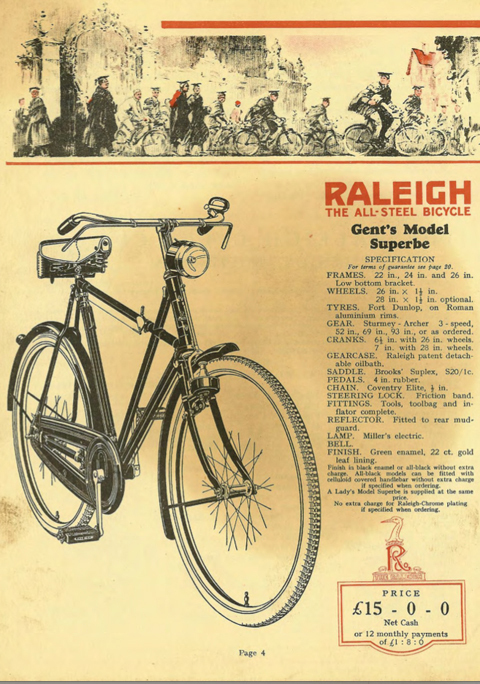 All companies needed to rationalise their production costs, so Raleigh introduced a new range of lightweight bicycles instead of the heavy duty roadsters they previously sold. The X Frame’s sturdiness was ideal for unmade Irish roads, so Raleigh offloaded a large batch to Ireland for local assembly, and many were sold to the Irish Constabulary. As a result, in the British Raleigh catalogues it was renamed it the ‘Police Model’ and also the ‘Irish X Frame’ and advertised without chain case or gears at a reduced price. 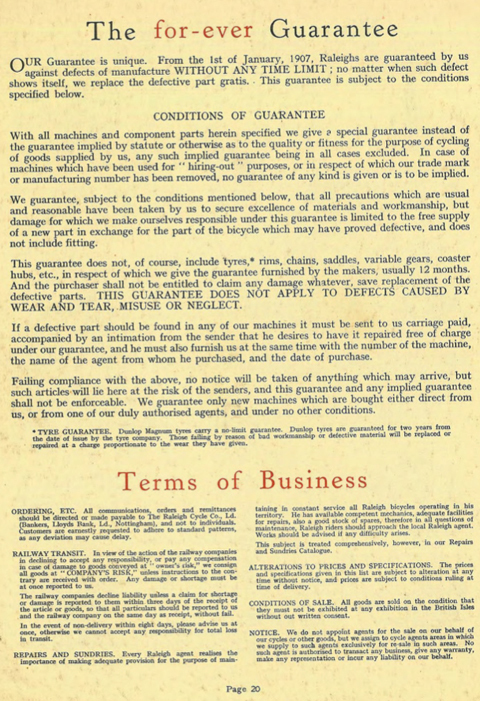 In similar fashion, in 1934, many of the remaining X Frames were sold to Holland for assembly and sale there. 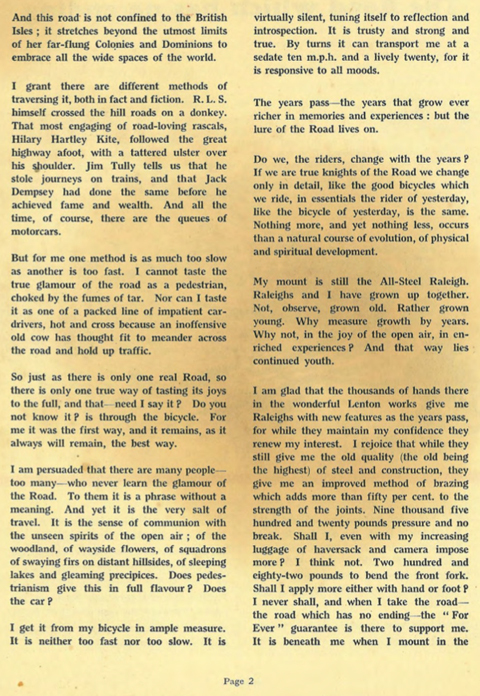 Within a few years it was completely dropped from Raleigh catalogues, though it was still available for special order, and was still in demand from customers in the Colonies. 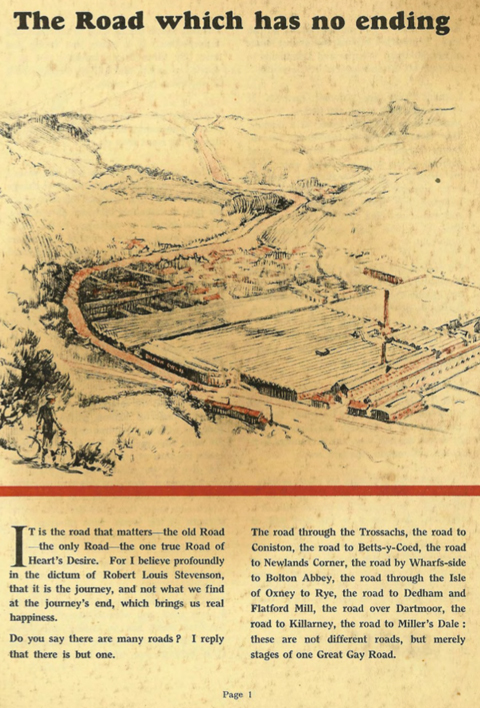 I’m not sure if the example presented here was one of a batch purchased by Whatton & Mustill Ltd, of 15 Ling Rd, Loughborough, who then assembled and sold it under their own label. Or if they restored it subsequently and added their name. This rare survivor spent all its life in the Loughborough area until I purchased it recently. The previous owner restored it in the 1990s, repainting the frame – but preserving the original transfers (decals)- and having the bright parts re-nickelled. My inspection reveals two minor issues: the Raleigh headset and headlock is missing, and the front hub has a screw in the centre instead of an oiler. Its paintwork is not to concours standard, but is nevertheless very presentable. The paintwork and the nickel are still in very good condition. The saddle is a heavy duty Brooks B90/3 with the Raleigh logo on top. This X Frame is in excellent mechanical condition and ready to ride. The Irish Police Model was sold as a basic model without chaincase or gears.